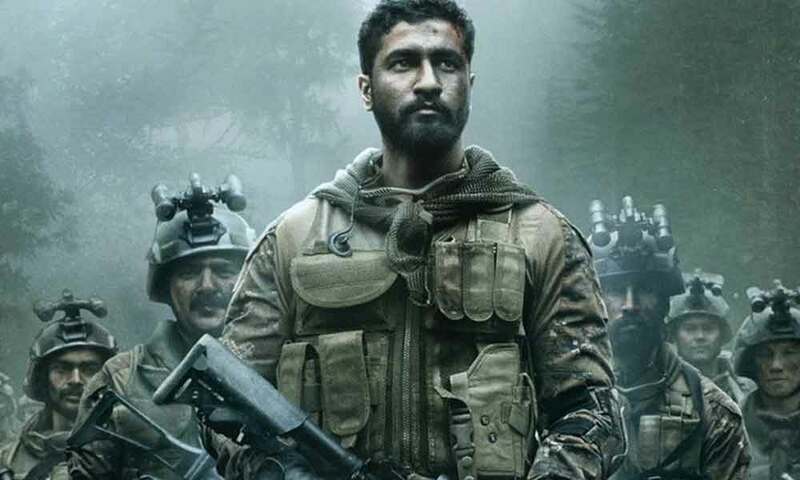 Vicky Kaushal shared a video on social media about his preparation for URI, how the actor used to wake up at 3 in the morning and go to Navy Nagar to get different kinds of training like Mixed Martial arts and physical training with co-stars. He used to call his gym trainer (Rakesh Udiyar) a Jallaad. As seen in the trailer Vicky Kaushal is playing the role of an Indian Army officer for which he was required to gain 15kgs, Rakesh Udiyar his trainer has made sure that Vicky Kaushal Looks like Vihaan Singh Shergill, his on-screen character. In the video director Aditya Dhar revealed how the actor left no stones unturned, he trained for 18hours a day. They also went to a boot camp training, which helped them a lot to learn things like, how to use guns, crawling and understand their Psyche etc. Vicky Kaushal shares the video on his social media and wrote, “A glimpse into my prep for URI. Not just me… me, along with a team of 20 other wonderful actors who gave their everything to the film. Big shout out to all my coactors, trainers and coaches… @rakeshudiyar ,Mangesh, @amol_kyatam @vickyarora @karannagari_mma #AtulMongia, ‘The Sikh Regiment’ @indianarmy.adgpi and the captain of the ship @adityadharfilms for giving me the most stimulating time as an artist. The Film is based on the 2016 surgical strikes conducted by the Indian Army in retaliation to an alleged terror attack in the Kashmir region of Uri. Previous articleDisha Patani’s Instagram Account Is One Of The Most Influential Accounts In India!